‘India inured’. Who cares anymore for a hundred crore scam? Had Madhu Koda been a chief minister even 25 years back and a Rs 4,000-crore mining scam had been exposed, the entire nation would have been outraged. There would have been rallies in the streets baying for his blood, Parliament would have been up in a storm. And for the guilty, the stigma would have been such they would never live it down. But we are in post-liberalised India now, and the Koda scam will hardly make it a week on the front pages. After all, what’s so novel about it, yet another politician and his chosen few cronies laughing all the way to the Swiss banks while he pillages the state’s precious natural resources on the side? It seems as if the nation now lives from scam to scam, and is cynical enough to know that always the big fish will slip through the net. 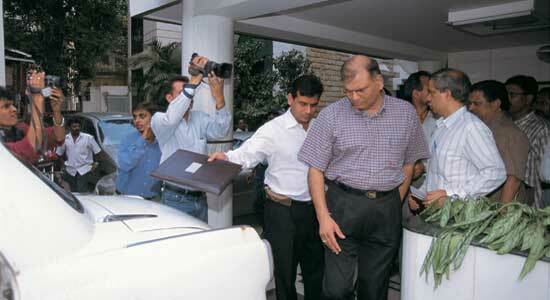 What made people sit up and take note in Koda’s case was the sheer scale at which he and his associates were raking in the moolah (investigators even found money-counting machines, the kind you see in banks, at his residence). Build: 2.4 crore primary healthcare centres. That’s at least 3 for every village, at a cost of Rs 30 lakh each. Build: 24.1 lakh Kendriya Vidyalayas at a cost of Rs 3.02 crore each, with two sections from Class VI to XII. Construct: 14.6 crore low-cost houses assuming a cost of Rs 5 lakh a unit. Set up: 2,703 coal-based power plants of 600 MW each. Each costs Rs 2,700 crore. Construct: 14.6 lakh km of two-lane highways. That’s a road around India’s perimeter 97 times over. Clean up: 50 major rivers for the next 121 years, at Rs 1,200 crore a river every year. Launch: 90 NREGA-style schemes, each worth roughly Rs 81,111 crore. Announce: 121 more loan waiver schemes. All of them worth Rs 60,000 crore. Give: Rs 56,000 to every Indian. Even better, give Rs 1.82 lakh to 40 crore Indians living BPL. Hand out: 60.8 crore Tata Nanos to 60.8 crore people. Or four times as many laptops. Grow the GDP: The scam money is 27% more than our GDP of Rs 53 lakh crore. So how well-entrenched and blatant is corruption in the system? Since 1991, when the Indian economy was opened up to make way for reforms—reforms that were aimed at unshackling the licence raj and reducing the scope for corruption—financial scams have ironically become the norm. This is what Professor Arun Kumar at Delhi’s Jawaharlal Nehru University refers to when he says, “The usual has become the unusual and the unusual the usual.” A conservative listing by Outlook of financial scams since 1991 has pegged the money looted at a mind-boggling Rs 73 lakh crore. What difference does a few thousand crore more make? But notwithstanding the bewildering scale and regularity to be seen presently, corruption in independent India had a relatively humble beginning. Almost the first to make an impact was the Jeep Scandal of 1948 when V.K. Krishna Menon, then India’s high commissioner to the UK, was accused of bypassing established procurement norms in an order for jeeps worth Rs 80 lakh for the Indian army. Menon was absolved but that did not prevent uproarious scenes in Parliament. Six decades later, it now seems that any attempt to raise a scam worth less than a crore among our legislators would be deemed a laughable waste of precious time. It’s only corruption running into several hundreds or thousands of crores that make the cut in a liberalised and reformed India. And that too only for a few days. In some ways, it’s not surprising that scams before 1991 were few and far between. The biggest one was Bofors in 1985-86, which touched Rs 64 crore. It still haunts Indian politics even after Rs 250 crore has been spent trying to solve the case. Kumar, author of a book on corruption, points out that between 1991-96, just after liberalisation, there were as many as 26 cases. Of these, 13 involved more than a thousand crore each. The number of zeroes have only kept increasing since, pushing scam amounts to astronomical sums. The spectrum allotment scam of ’08 is reportedly worth Rs 60,000 crore—that’s the kind of territory we routinely inhabit now. Kumar believes the present size of the black economy in India is as high as 50 per cent (Rs 26,60,876.5 crore) of the country’s GDP. This figure, of course, is all-inclusive, and will count anybody who does not pay tax for an income earned, even the school teacher who does not declare his after-school tuitions. According to Kumar, in the ’50s this parallel economy was only five per cent of the GDP. Ironically, it is the urge to promote business and development at any cost that has bred this level of corruption. E.A.S. Sarma, former secretary of the department of economic affairs, says, “In the fast-track clearance paradigm, the government is prepared to look the other way when a developer violates established norms. 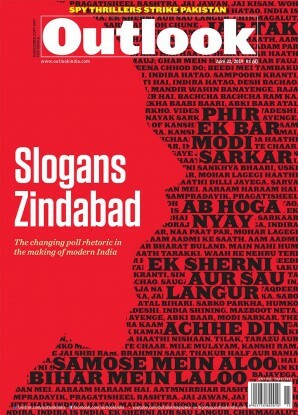 And if any law comes in the way, it is prepared to rush and dilute them.” The capital markets post-liberalisation—often feted for the swinging highs they produce, almost as if it’s an index of the country’s economic health—are themselves flawed because adequate supervision, strict accountability and appropriate punishment are still missing, writes noted business journalist Sucheta Dalal. While the poor are mute spectators to this plundering, the elite have in their own ways benefited from the network of corrupt politicians, business houses and the executive. Sarma also believes that politicians have “opiated the masses” with hugely expensive welfare schemes that run with little transparency and accountability. “The Indian public stands thoroughly anaesthetised, numb, unable to express any concern,” he adds. Even the judiciary hasn’t escaped the corruption taint—allegations of land-grabbing against the Karnataka High Court Chief Justice P.D. Dinakaran is a recent case in point. The possibility of action here was curtailed after the Veeraswami judgement in the early ’90s—it restrains criminal investigation of judges without the prior written permission of the Chief Justice of India. “Not a single permission has since been granted,” says Bhushan. Another check—the bureaucracy—had even earlier fallen prey to corruption and there are few insiders willing to speak out. One such voice is that of Vijay Shankar Pandey, a serving 1979-batch ias officer from UP, who was behind the unique poll that was held twice in 1996 and 1997 among the babu lobby to elect through secret ballot the top three corrupt officers from the state. “If somebody tells you that money for development is scarce, he or she is lying. The truth is that corruption has almost become a non-issue among bureaucrats and it has killed us all,” says Pandey. Nonetheless, there are some who are not so sceptical. Transparency International India chairman retired admiral R.H. Tahiliani is one of them and he refers to the Supreme Court judgement in March 2003 that mandates all candidates to declare their assets while filing nominations. “Corruption is at its apex in the electoral system. One therefore can’t let go of the politicians, more so because the tone is set by the rulers,” he says. Narayan, on the other hand, offers an interesting analogy: water at 99 degree Celsius is hot but it has no energy. Add a degree, it starts boiling, develops steam and gains tremendous energy. “Just like that, those against corruption need to keep up the struggle. You never know when those few extra degrees may come. After all, the Berlin Wall still came down without a single shot being fired, didn’t it?” he asks. All of Jharkhand was his stage, and Koda a major player. So, who rewrote the script?